What are some of the benefits of coaching? Coaching is an investment in yourself, designed to help you discover what matters the most to you, and help you on a path towards achieving your goals. Coaches help give you an outside viewpoint that allow you to see how others see you and the grand possibilities in your future. Everyone can benefit from a life coach, whether you are currently suffering through life’s struggles or simply know that you are meant for more in life. Your coach provides you with self-assurance, support, certainty, confidence, encouragement, motivation, and inspiration depending on your needs and situation. Coaching can be great for someone who has accepted their past and is ready to build strategies and take action to achieve their goals. You can call or go online to book a free coaching session to see if coaching is right for you! How do you perform your session? I offer face-to face, phone, and Skype sessions. Is the first coaching session free? Absolutely! I feel it’s very important to offer a free initial session to make sure both the client and I feel the coaching relationship will be a good fit. Do you offer coaching packages? Each client has different needs so I have several personal and business coaching packages to choose from on our website. Can you speak at my event or business? Definitely! I speak at events and offer workshops on a request basis. Just call or enquire online. What is Abundance Coaching really about? At Abundance Coaching our goal is to take your great and make it greatness! Scott Epp (C.P.C. 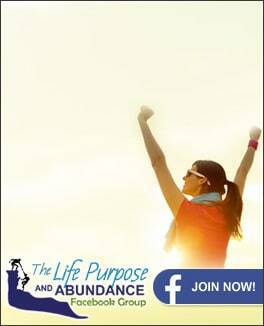 ), Certified Professional Coach and owner of Abundance Coaching believes that each of us can live abundantly. With his empowering, encouraging processes Scott will help you get clarity on what you really want out of life and get what you want faster.We believe that Life coaching is all about having intentional, purposeful and powerful conversations that are focused on you the client moving forward in life. Together you will push through the obstacles that block you from reaching your full potential which will truly allow you to live a life of abundance. Scott supports his clients through their transitions and helps them transform and create changes to realize an authentic, purposeful and powerful way of living. What are people saying about Scott Epp’s coaching? Become your Authentic Amazing Best! Take Your Next Step! How can we serve you? Feel free to use this space to tell us more about why you are interested in coaching and how you feel we could help you?